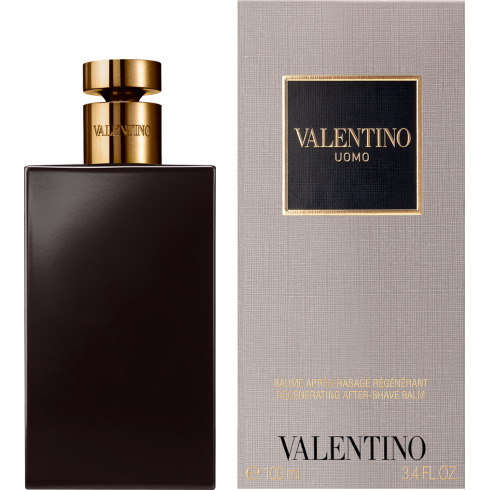 Valentino Uomo is inspired by a specific scene at the end of an aristocratic family lunch, on a huge table set on the terrace of a Roman Palazzo. Notes are emanating from the garden of the palazzo, as well as some beverages and deserts still on the table after everyone has left..... An aromatic smooth leathery fragrance. Top notes: Bergamot, Myrtle Heart notes: Coffee Beans, Chocolate, Hazelnut Base notes: Leather, Cedar.